The need for a guitar effects seem higher. Not only as a complement to the guitar effects, but also demands the quality and character of the sound produced. When the sound is embedded in the concept of digital still considered to not meet the needs of the desired sound, the guitarist was still consistently using analog or stompbox guitar effects into their pedalboard. 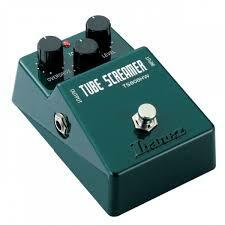 This makes Ibanez, a Japanese guitar manufacturer released a new series of the legendary Tube Screamer pedal. The dedication of Tube Screamer as overdrive guitar effects, now has more than 30 years of its existence. So, it is very proven ability. Ibanez Tube Screamer T808HW, now complements the preceding series that has been known many of the guitarists, such as the Tube Screamer TS9, TS9DX, and TS808. Tube Screamer known shape design with characteristic green color. So even with this TS808HW. In the body is equipped with steel material coated with covered in a dark green color. Basically, the concept of Tube Screamer created as the overdrive effect where there are electronic components JRC4558D IC chips and OEC Mogami cable (AWG21), high-end quality cables from Japan. As a result the true bypass without cutting out the sound signal. While in the panel, there are three control knob, ie knob overdrive, tone and level. The role of the LED light to signal when the effect is being used. When lit, the light will be red. Sign, the drive is enabled. Button switch pedal seems sturdy and ready as the landing foot runway at any time. Overall, the look TS808HW vintage look, simple yet elegant. Ibanez TS808HWB provide satisfaction in terms of character selection drives sound on the guitar. To operate, simply turn and adjust the knob as necessary the desired sound. Only needed for a 9 volt power to make it roar. It could also use a 9 volt battery powered. So, just plug the cable from the guitar to the input hole. From the output, plug it into an amplifier. Then set the desired sound needs, and let TS808HW shout. Simple right? The resulting sound character of TS808HW is somewhat condensed feel of rock and blues. 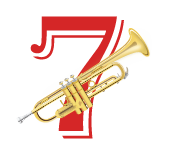 But it remains safe as well for all genres of music. Read also “Review: Schecter PT Fastback Electric Guitar” and another gear reviews. Hopefully the article of Review: Ibanez TS808HW Tube Screamer Overdrive Guitar Effects Pedal useful for you.